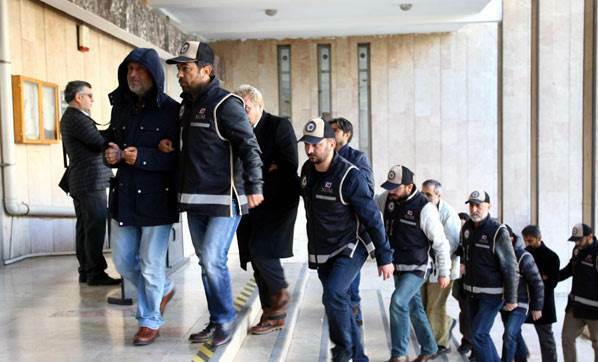 Twenty-six teachers have been arrested in Turkey’s Malatya province as part of an investigation into the followers of the Gülen movement. The teachers were earlier accused of using ByLock mobile application, which the prosecutors claim a primary communication tool among sympathizers of the movement. Police carried out operations and detained 34 teachers in 8 provinces very recently. While the two were freed after their testimonies to the prosecutor and 6 were released pending trial, 26 were arrested. About 120,000 people have been sacked from state bodies, in excess of 80,000 detained and more than 40,000 have been arrested since the coup attempt. Arrestees include journalists, judges, prosecutors, police and military officers, academics, governors and even a comedian.